Click here to see all the stories in the series, and to submit your questions about the costs and upsides of living in the Granite State. It wasn’t always Zach Griggs’ plan to become a fisherman. Along the way, he tried other things, too. But more than just working, Griggs realized he liked this kind of work. The way you get paid for exactly what you catch, the way each day is different. Griggs is 28, but he’s already spent about 8 years in the fishing industry. About four months ago, he decided to make a bet on staying in for even longer. He took out a loan and bought a boat, the Bridget Leigh. It’s a 44-foot white fishing boat that Griggs knows well. He’s been a deckhand on it for the past 6 years. Turns out, being a New Hampshire fisherman isn't what it used to be. It should be an exciting moment – striking out on his own like this. But sitting in his new captain’s chair, Griggs sounds deflated. Turns out, being a New Hampshire fisherman isn’t what it used to be. On a recent night at the Rye Harbor, I met with Griggs and a couple of friends onboard the Bridget Leigh to talk about the state of New Hampshire’s fishery. One of those friends is Lucas Raymond. 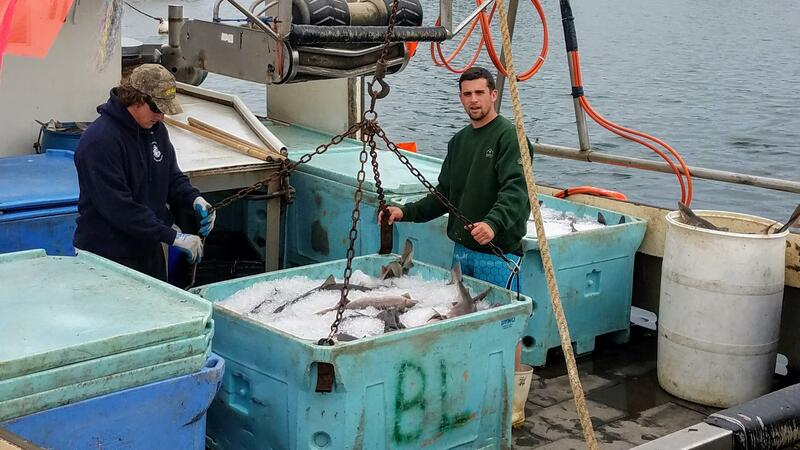 At 25 years old, Raymond is New Hampshire’s youngest commercial fisherman. And like Griggs, he can’t imagine doing anything else. Raymond is a deckhand on one of New Hampshire’s few remaining groundfishing boats, the Sweet Misery. 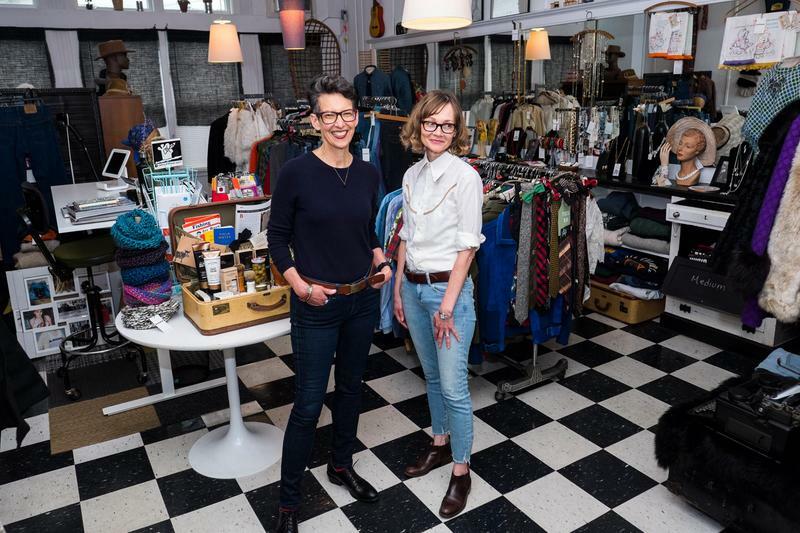 It’s a name that seems to capture what it’s been like for Griggs and Raymond as they try to get started in an industry that’s disappearing all around them. In recent years, a lot has gone wrong for New England fisheries. Competition from global markets has increased just as fish stocks in the Gulf of Maine have plummeted. In 2014, the National Oceanic and Atmospheric Administration announced the amount of cod in the Gulf of Maine had hit the lowest point ever recorded - just 3% of the target population. This NOAA chart shows the decline in the spawning stock of cod in the Gulf of Maine from 1982 to 2016. In response, federal regulators clamped down on the number of fish that fishermen are allowed to catch. But many fishermen, Griggs and Raymond included, just don’t buy it. They say when they’re on the water they see plenty of cod. Griggs says the regulations are the biggest challenge for him right now. The costs of adhering to all the federal rules can reach into the tens-of-thousands of dollars for a fisherman who’s just starting out. This NOAA chart shows the decline of the cod catch across New England fisheries from 1982 - 2016. That’s part of what has led to a big decline in the number of groundfishermen in the state. Today only about ten groundfishing boats are left in New Hampshire, only three of those fish full time. There’s hope that catch limits will be raised before long. But in the meantime, Griggs still has boat payments to make - $1600 a month. To get by, he works as a deckhand on other boats and lives onboard the Bridget Leigh in warm weather to save on rent. Chart: Over the past several years, more and more groundfishermen in N.H. have decided to give up their permits and get out of the business altogether. For all the obstacles they face, Griggs and Raymond do have some people in their corner. Matt Louis is chef and owner of a chic tapas restaurant called Moxy in downtown Portsmouth. He says if the New Hampshire fishing industry dwindles to nothing, it would be a serious blow to the city’s prosperous restaurant scene. Back on the Bridget Leigh, Griggs and Raymond don’t seem like they’re on a crusade to save way of life, they’re just trying to start their own. “I didn’t start fishing with the idea that I was going to work for somebody for the rest of my life," says Griggs. As our conversation on the boat winds down, I turned to David Lippmeier, an older former fisherman who’s been sitting, quietly listening the whole time. I asked him what he thinks Griggs’ chances are. As for whether he’ll make it? All Lippmeier would say about that is: he’s got the right attitude. The Balance: What Does It Cost To Live In New Hampshire, And Why? Starting this week, NHPR's newsroom kicks off The Balance, a series of stories looking at the cost of living in New Hampshire, and the benefits and tradeoffs of settling down in the Granite State. 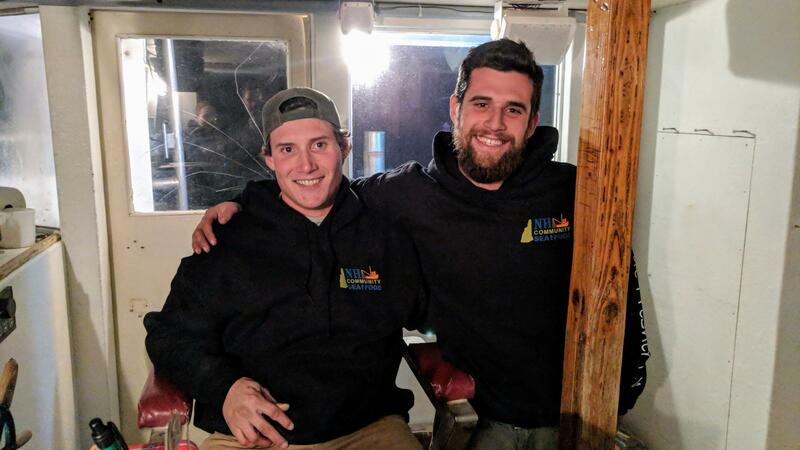 The first stories in the series will take us on board a fishing boat in Rye, into small businesses in downtown Littleton, and onto the work site of a massive new housing development in Londonderry.